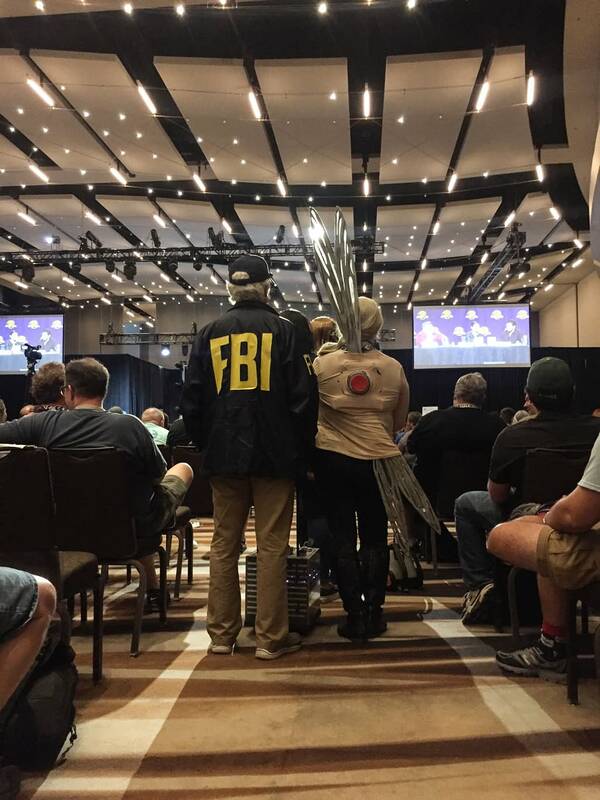 If you have never attended Dragon Con in Atlanta Georgia over Labor Day Weekend, you’re missing out on an incredible contention experience. 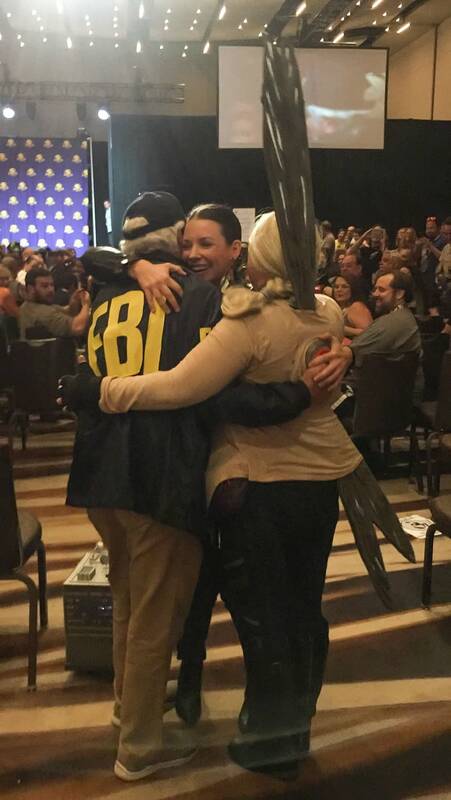 Like the moment we just witnessed during Evangeline Lilly‘s Squickerwonkers panel. Namely, the Q & A portion of the panel (which was moderated by the effervescent Tony Gowell and also included Squickerwonkers illustrator Rodrigo Bastos Didier). 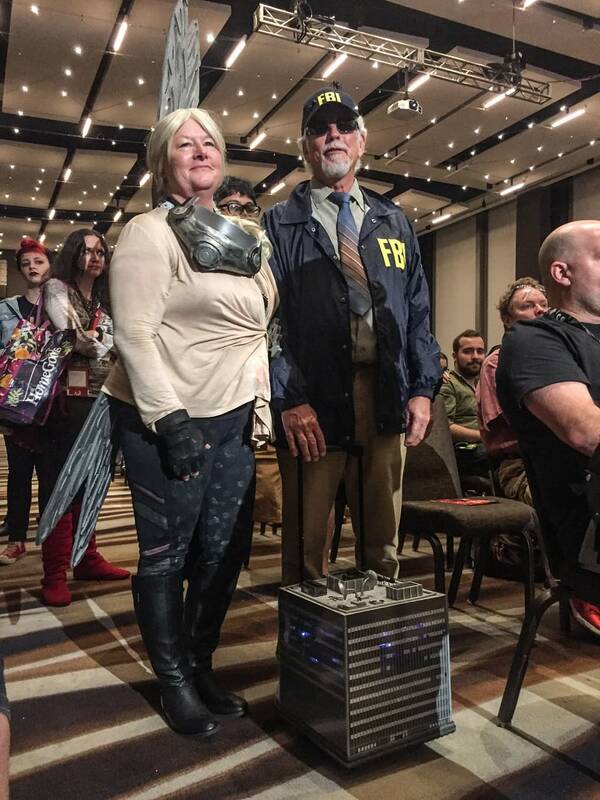 We noticed this FANTASTIC pair of older cosplayers dressed as Hank Pym and Janet van Dyne, parents of Lilly’s Ant-Man and The Wasp character Hope van Dyne. We waited for their question because we knew it was going to be good, but it was more of an adorable declaration, “Your mother and I are so proud of you,” Hank said. The audience reacted wonderfully, and Evangeline Lilly leapt off the stage and ran down the isle to embrace both of them with the widest of smiles. It was just such a delightful moment, and we are so happy to be able to share it. Stay tuned for more coverage from Dragon Con 2018!